Happy 10 year Anniversary Mouse Guard! Return to the June Alley Inn for tales of courage and adventure this March as Archaia, an imprint of award-winning publisher BOOM! 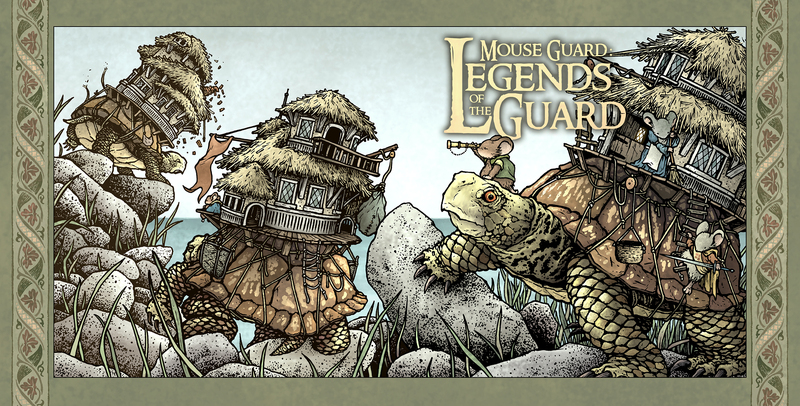 Studios, presents the latest addition to David Petersen’s Eisner and Harvey Award-winning Mouse Guard series, Mouse Guard: Legends of the Guard Volume 3. Following two award-nominated volumes, and in celebration of the 10-year anniversary of Mouse Guard, this four-issue series collects brand-new tales (and tails) from a mix of some of the biggest creators and some of the brightest new talents in comics, including Skottie Young (Rocket Raccoon), Mark Buckingham (Fables), Dustin Nguyen (Descender), Ramón K. Pérez (Hawkeye, Jim Henson’s Tale of Sand), Becky Cloonan (Gotham Academy), Hannah Christenson (Jim Henson’s The Storyteller: The Novelization), Nicole Gustaffson (Nimasprout), and more. 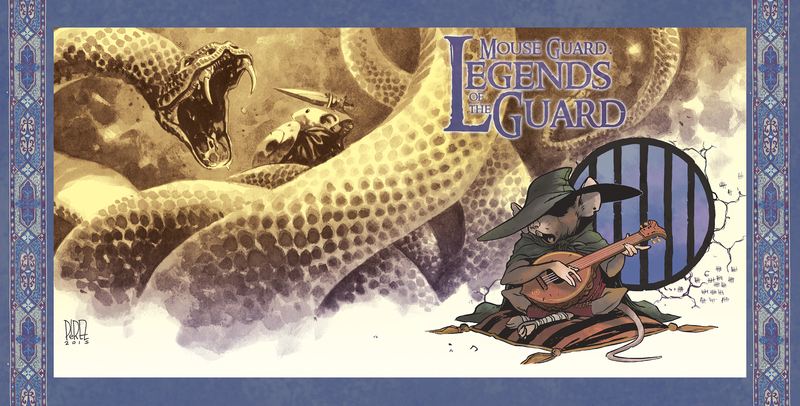 In Mouse Guard: Legends of the Guard Volume 3 #1, mice of all furs and trades have once again gathered at the June Alley Inn to swap tales of courage, adventure, and craftsmanship over drinks. The storytellers can’t help but try to outdo one another, as the mouse who tells the best tale gets their bar tab cleared. This issue features stories by Young, Buckingham, and Christenson, while the scenes in the Inn connecting them all are by Petersen. 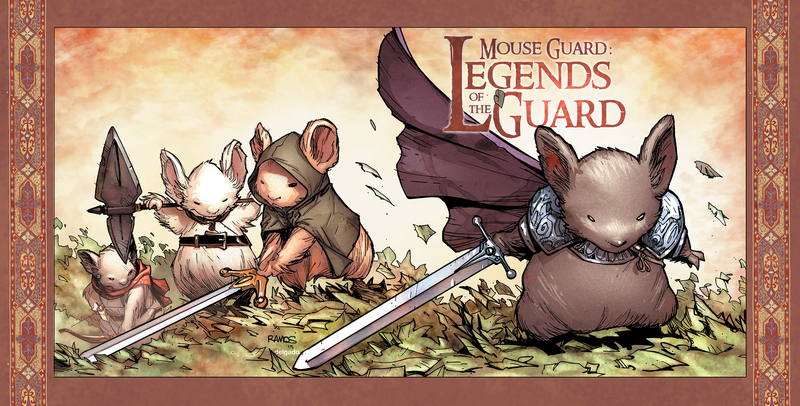 Mouse Guard: Legends of the Guard Volume 3 #1 arrives in comic shops on March 11th from Archaia in its signature 8″ x 8″ format with a wraparound main cover by series creator David Petersen for the price of $3.99 under Diamond order code JAN151140. Also available in a limited quantity are a 10 Years Anniversary incentive cover by Ramón K. Pérez (Hawkeye, Jim Henson’s Tale of Sand), and a retailer incentive cover by Humberto Ramos (The Amazing Spider-Man).